As iPhone and iPad sales continue to rise, it’s becoming increasingly important to test websites on the iOS platform. 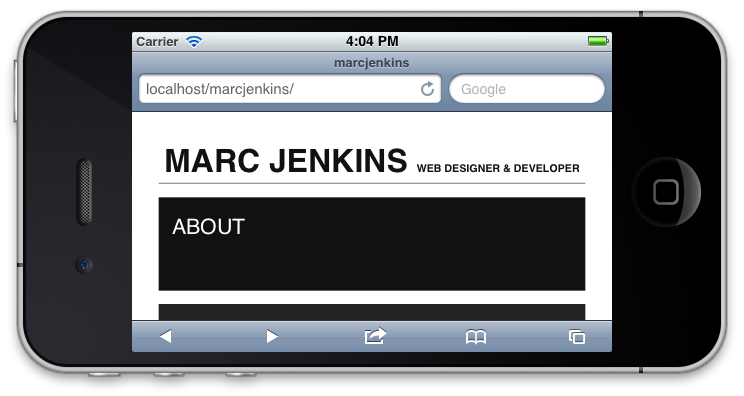 Here is a quick and easy way to test your website on both the iPhone and iPad using the iOS Simulator. These instructions work with OS X Lion. You can also use the iOS Simulator if you are using OS X Snow Leopard, you will just need to download Xcode from Apple’s Developer website. First, download Xcode from the App Store. It’s free but might take a while to download. Then run the installer. Once installed, you will have access to the iOS Simulator. Search spotlight for iOS Simulator to launch it. When you open it you should see a fully functional iPhone. Click the Safari tab and navigate to any website you want to test. You can also use localhost if you are working locally. Use Cmd and left or right arrows to change orientation. To change device, click Hardware > Device > iPad. It’s that easy!